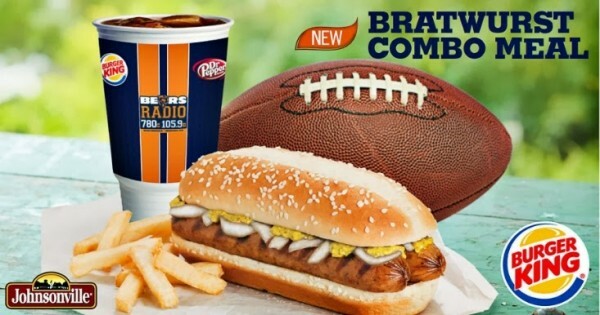 Apparently Burger King has been offering Bratwurst Sandwiches since September and we were none the wiser. Geared towards football fans, the sandwich features a butterflied Johnsonville bratwurst sausage, raw white onions and yellow mustard on Burger King's iconic sesame seed bun. Currently only offered in Wisconsin and Illinois the new menu item unfortunately doesn't come paired with an ice cold beer. Bummer. Available for a limited time the Bratwurst Sandwich is part of the chain's "2 for $5 Mix & Match Deal" which also includes other popular menu items such as the Whopper, the Original Chicken Sandwich and the Alaskan Fish Sandwich.